Dark circles under eyes indicate extreme tiredness or sickness and these circles. These under eyes circle fade your face impression, that’s way the person having under eyes circle are depressed. It is tough job to clear these circles because circles appear gradually with the passage of time, first should eliminate the cause or causes of circles. These circles can be eradicate by taking complete bed rest and hydrating body. 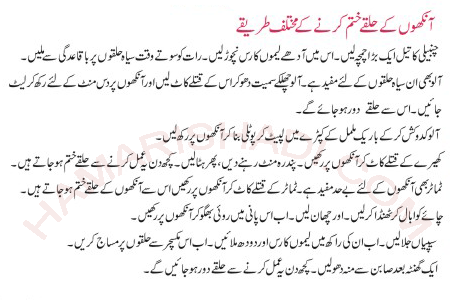 This a serious issue and consult your doctor for this and takes medicines regularly according to the advise of doctor, here are few tips to avoid eye circles under eyes.